Rory McIlroy celebrates an eagle during the final round of the British Open. 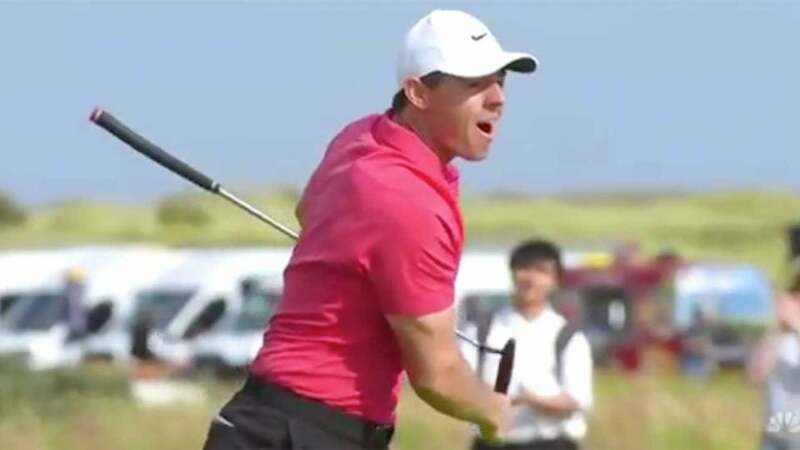 Rory McIlroy had a slow start to his final round of the British Open, but he's heating up on the back nine. McIlroy, who started the day four off the lead, made bogeys on the 2nd and 5th holes to drop further off the pace, but he got them back with birdies on 9 and 11. After a bogey on 12, he was eyeing a long eagle putt on 14 — and of course he drained it. The eagle gave McIlroy a share of the lead and created a six-way tie atop the leaderboard at six under. Watch his putt below and follow the final round here.